The full line of 2017 Cycles Veloce/Team Simple Green Team Clothing from Voler is now available for order. And despite manufacturing costs increasing for next year, the club is keeping all the pricing the same as last year’s kit. That means NO PRICE INCREASES! Voler has been busy with numerous new features for 2017. Highlights include: Nova fabric and better collar for Velocity Jersey; FS Pro Jersey with CoolMax arm bands; lighter weight locking YKK zips on all jerseys; 3 chamois options for bibs/skinsuits; additions to Enduro MTB line; new Tri clothing; and more. To read up on complete details, please visit the Voler site prior to placing any order. To place your order for the new clothing, you must have a valid 2017 Membership. If you are a current or past member, this means renewing your membership first. Membership is still only $40 for the entire 2017 calendar year! If you are thinking of joining the club, now is a great time to do so. The annual membership fee is one of the lowest in Southern California. Clothing will be available for order through May 21, 2017. Expected delivery date is June 23, 2017. To join or renew for 2017, please go to JOIN/RENEW today. 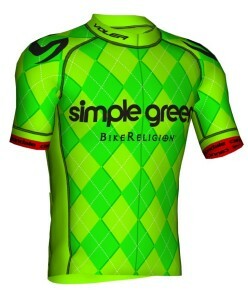 State Championship Road Race, Masters Women 45+	OTH Aug 8th – Team Simple Green Family Night!